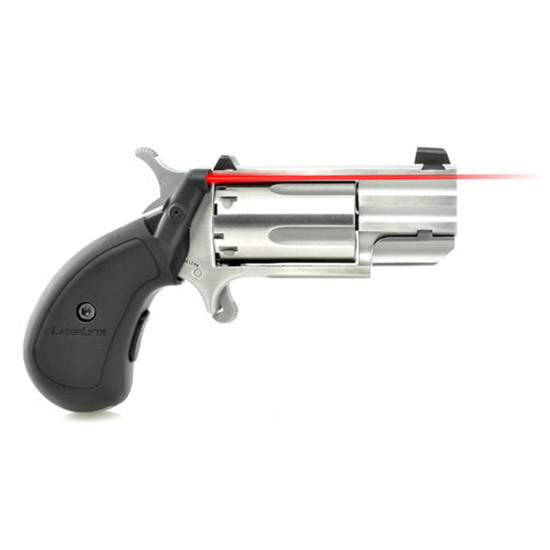 LaserLytes VMag Laser for all North American Arms 22 Mag Pistols including the Pug Black Widow and Side Winder. Grip activation turns the dot on when the pistol is held in a shooting position. The Grip Laser sight is built from 55 glass filled nylon. The Laser allows for a longer stand off distance and an increased rate of repeated accuracy. The laser is fully adjustable to the point of impact. The 22 Mag Laser will also work with all current holsters for any 22 Mag NAA mini revolvers. The Laser for North American Arms .22 Mag framed pistols is aligned along the pistols sight line for instant target acquisition. LaserLyte continues to get sport shooters and professionals on the target faster increasing accuracy and overall hits with affordable and fun laser training tools.